Q. I see most of the items I need to lease, but have a special request for something you don't have listed, what should I do? A. Please call us and ask, we will try to get what you need. 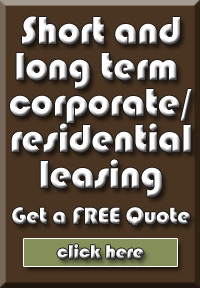 If your lease is for 7 Months or longer we honor most any “special request“ item. Q. I see “items not exactly as shown“ in the selections. What does that mean? A. Colors and styles will be similar to what is pictured, but in some instances might not be the exact furniture in the pictures. Q. Can I save money by picking up and returning the rental items myself? A. You can pickup and return the item yourself and save, however you are fully responsible for the safe, secure, timely return of the items you have rented. Blankets and straps and proper truck size is your responsibility and required for all large rental items. Large televisions can never be laid face down. Q. I need delivery/ pickup on a Sunday. Are you open? A. We do not deliver or pickup on Sundays, however we can work out a Saturday or Monday schedule in most cases. Q. Are the rental items new? Q. Are the mattresses I will be renting be new? A. In most cases the mattresses have been previously rented and have been cleaned and sanitized and are in very good condition. Q. I have a requirement for a certain item not listed. Can I get it? A. Yes. We can meet most special request needs on a 7 month or longer term. Q. What if I want to exchange or add rental items after they have been delivered? A. No problem. Your satisfaction is our goal. Rates could be subject to change. Q. 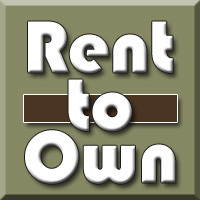 What if an item fails while I am renting? A. We will quickly repair or exchange your rental item. Q. I am not sure exactly how long I am going to need the rental item. What should I do? A. Choose the lease term that is closest to your expectations. 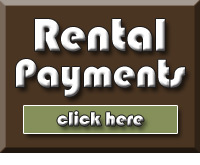 If you need to keep the rental items longer, no problem, just continue making advance timely rental payments. If you need to discontinue your lease early there will be an early return charge. Q. I really need most of the rental items I have selected from the menu, but the monthly rate is higher than I wanted to pay. Is there anything cheaper? A. Yes, check the box in step 1 "let us select your rental items from overstock for a 25% discount" and we will work with you to select items from our inventory that save you the most money. Some items might be older inventory or slightly blemished. You can obtain an additional 10% discount on (3 mos. or longer) leases by paying in full in advance. Q. What if an item gets damaged or stolen while I am renting? A. You are responsible for any neglect or misuse, however the damage waiver plan will cover you in the event of loss or damage beyond your control. Reasonable evidence must be provided for plan protection. Plan does not cover mysterious disappearances, etc. You are responsible for safe and timely return of all goods.